Loose Fill Packing Peanuts. 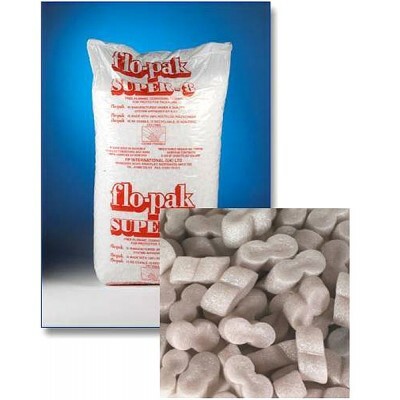 Supplied in 15 cubic ft bags as standard. The two main brands in the market are flopak (also known as super 8), and ecoflo. Flopak peanuts are shaped in the form of the number 8, wheras ecoflo are shaped in the form of 'wotsit' crisps. Ecoflo form an enivoronmentally friendly biodegradable solution to packing, whereas flopak tend to contain more memory in the chips.